Justice Brett Kavanaugh’s confirmation battle stirred up more than just GOP voter enthusiasm—it fueled a massive fundraising haul for the party, too. 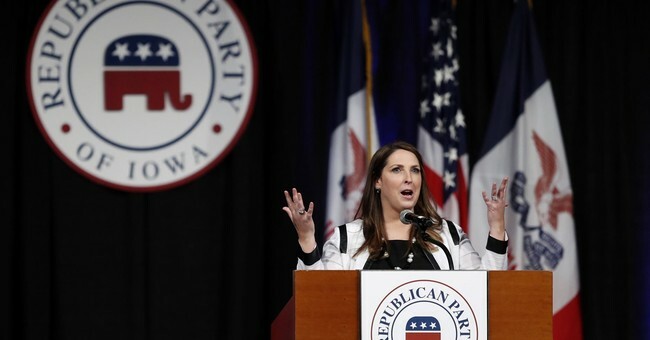 During the first week of October the GOP saw a 500 percent increase in donations compared to the first week of September, according to RNC Chairwoman Ronna McDaniel. An RNC spokesperson told Fox News that the party did see a 500 percent increase in donations during the first week of October, raising a total of $5.7 million from Sept. 30 to Oct. 5—that included a record $2.2 million in online donations alone on the last day in September. The National Republican Congressional Committee also saw a similar surge in fundraising, reporting a 418 percent increase in online donations during the first week of October compared to the first week of September. “The SCOTUS fight is having an undeniable impact on the GOP base,” NRCC Communications Director Matt Gorman tweeted last week. The confirmation battle energized Democrats, too, who responded to Gorman’s tweet with impressive fundraising figures of their own. While Democrats are pushing for a takeover of the House and Senate in the midterm elections, a new batch of Senate polling suggests their chances of retaking the upper chamber are now even slimmer thanks to the Brett bounce.